Hi everyone BBC2 here, sorry for not posting these recipes earlier but I’ve been making hay while the sun shines, well cutting the grass, cleaning up the pond and flowerbeds in this glorious weather we have been having. I hope it’s good where you are and that you are all well. It was the Eurovision song contest on the 10th May so, Liz (our self appointed chief taster) came for a sleepover and a gin or two. We planned the menu so that we had everything cooked before the contest started, BBC1 made the starter, his Lentil & Bacon Soup, which I must say is one of the best soups I’ve ever had. For the main I was making Chicken in a Creamy White Wine and Tarragon Sauce with Potatoes and Asparagus, all followed by Chocolate and Banana Tart served with quick and easy Banana Ice Cream (recipe to be posted soon) and my favourite, lots of G&T! I made the Chocolate and Banana Tart in the morning and for the main course I started with the potatoes as these need an hour or so to cook, depending on the size, without prep time, but they are worth it and the prep isn’t hard, unlike Liz when she’s had a gin or two and pointing out the obvious loudly again and again so no one can hear the song that the woman is singing – “she has a beard!” – well Liz, we all missed that! Anyway back to the Potatoes, these are like roast potatoes but cooked in stock. Preheat the oven to 190c fan, peel the potatoes and cut them to roast potato size and leave them to stand in cold water. Now take a large frying pan and on a medium heat melt the butter, add the chopped onions and cook for 2 minutes, don’t let them brown, then add the chopped bacon and cook for another two minutes. 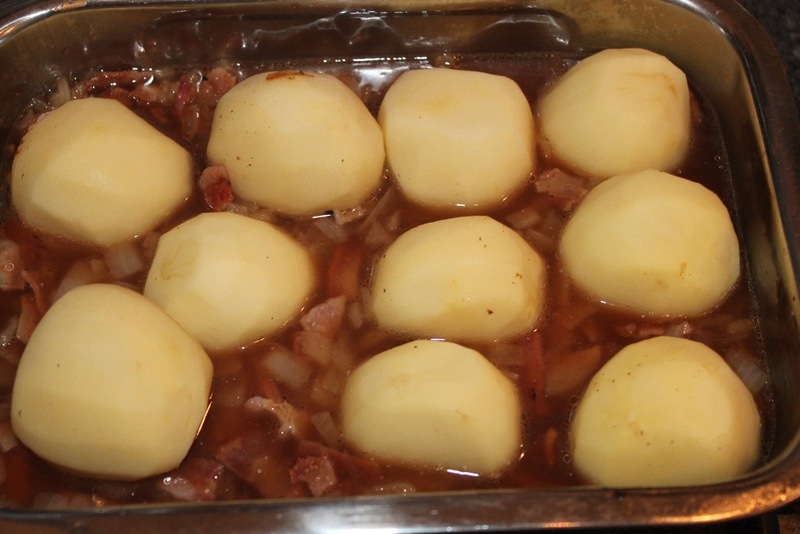 Then place the bacon and onion mixture in a oven proof dish and spread across the bottom of the dish, now place the potatoes on top of the bacon and onion mixture, carefully pour in the chicken stock so that it comes halfway up the side of the potatoes. Season with salt and pepper and place in the oven. Baste the potatoes after twenty minutes and again when and if they need it, which they shouldn’t do. Take a sharp knife to test the potatoes are cooked and serve with the remaining onion and bacon sauce, these are a good alternative to roast potatoes. Chicken in a White Wine and Tarragon Sauce. 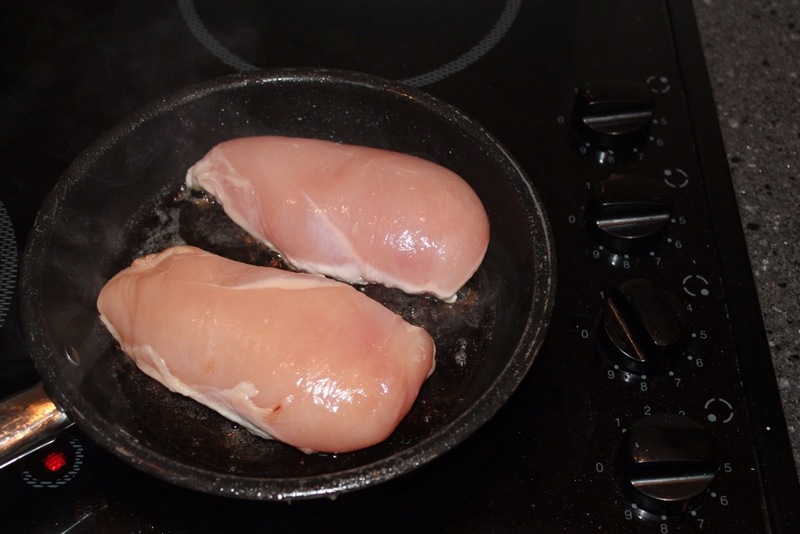 Using the same frying pan you cooked the onions and bacon in for the potatoes or if not making the potatoes, fry ½ a finely diced onions in a little oil to soften but not colour and place in a casserole dish big enough to fit the chicken breasts in, now add the butter and colour the chicken breast on both sides and place them in the casserole dish. Pour the white wine into the frying pan, to deglaze the pan, bringing it to a rolling boil for a minute or so and turn the heat down to a simmer, now stir in the cream and tarragon and season with salt and pepper to taste. Pour the sauce over the chicken place the lid on the dish and pop in the oven with the potatoes and cook for 30 minutes or until the chicken breast are cooked through. You can remove the chicken and let it stand if the potatoes are not ready and pop the chicken back the oven to keep in hot, while they are cooking about five minutes before you are ready to serve I wipe the frying pan with kitchen paper and then add a little butter and fry the asparagus until it is cooked how you like it, BBC1 complained that the asparagus was too ‘al dente’ for him but it’s all down to personal taste. 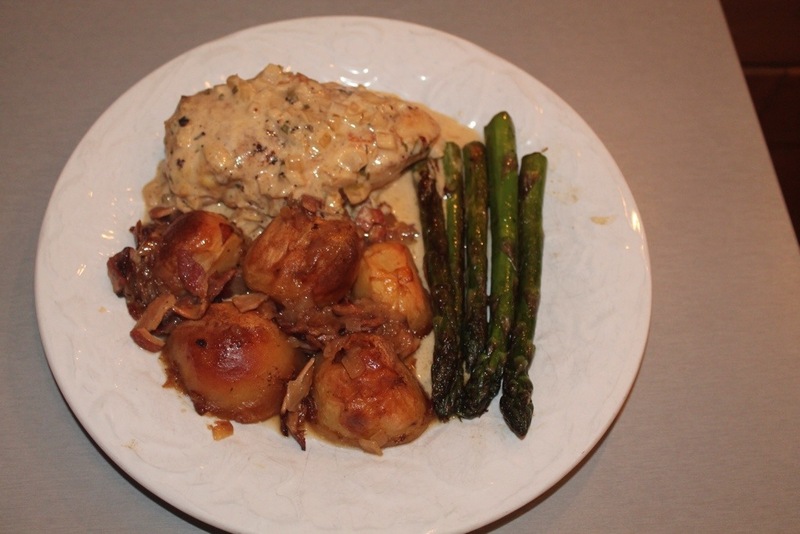 You use what vegetables you like but as it is asparagus season and BBC1 loves the flavour why not, but do try these they are so easy to cook and I think the taste of the Chicken in the white wine and tarragon sauce with the potatoes are a good combination, each bring their own depth of flavour. Do let us know what you think. BBC1: I love the chicken and tarragon sauce in this. It’s subtle flavours are lovely. The potatoes come from an old recipe book we have, with a few adjustments, and the contrast between the crispy tops and the juicy succulent bottoms are great, along with the bacon and onions. 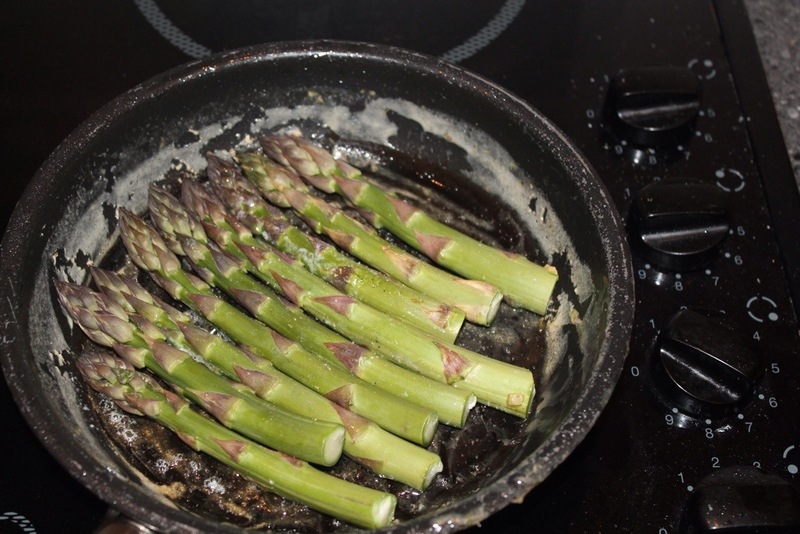 Most people will love the asparagus as it was cooked, but I am fussy and prefer a ‘softer’ finish. Tags: asparagus, bacon, chicken, chicken stock, dinner, eurovision, main meaul, onion, potatoes, tarragon. Bookmark the permalink. As always you’re more than welcome sweetheart! This looks just Fab , I know what you mean though. Make hay while the sunshine’s indeed. But this dish looks so yummy…well done guys.